Recently, Kevin Carroll stopped by the Catalyst offices. 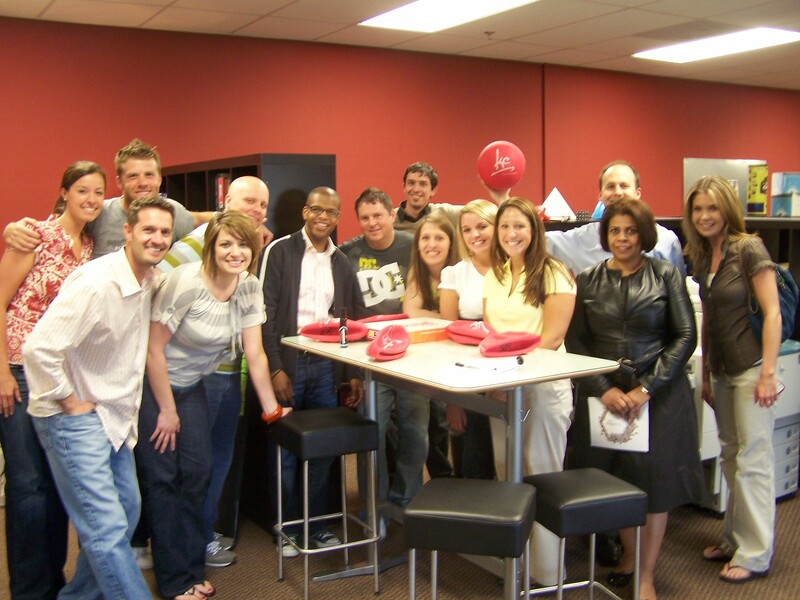 If you are not familiar with Kevin, he was a speaker at Catalyst in 2006, and had the longest line I have ever seen for a book signing for his book Rules of the Red Rubber Ball- not just a book signing line at Catalyst, but any event I have ever attended or helped produce. I think he signed over 1,200 books- around 4 hours of signing! (As a side note, we set up Kevin's talk in 2006 with the National Dodgeball Champions. Watch the clip of them making an appearance here). Anyway, Kevin (KC) has become a good friend and continues to do great work through The Katalyst Consultancy and his frequent speaking gigs all over the world. He is also involved with the Homeless World Cup Soccer initiative, which this next year will take place in Sydney, Australia. KC is one of those guys that makes you better every time you are around him. He exudes so much joy and enthusiasm for life. He also has a new book coming out soon that you will want to keep an eye out for. Older PostHow Messy is Your Desk?